William Blizzard Sweeny-1 was born on 19 Dec 1867 in Chester, Delaware, Pennsylvania. He died on 15 Feb 1961 in Chester, Delaware, Pennsylvania. He married Katherine May Ramsey on 15 Sep 1888 in Camden, New Jersey, daughter of William Burnside Ramsey and Cathern Elizabeth Johnson. She was born on 27 Jun 1868 in Roxborough, Pennsylvania. She died on 08 Mar 1945 in Chester, Delaware, Pennsylvania. Thomas Burton Sweeny, B: 30 Oct 1895 in Eddystone, Delaware, Pennsylvania, D: 27 Apr 1991 in Hockessin, Delaware, M: Elsie Irwin Caldwell, 12 Aug 1919 in Harrington, Kent, Delaware. William Blizzard Sweeny, B: 19 Jan 1890 in Chester, Delaware, Pennsylvania, D: 28 Apr 1939 in Chester, Pennsylvania, M: Mary Jane Watkins, 14 Jan 1912 in Wilmington, Delaware. Sallie Elizabeth Sweeny, B: 22 Jul 1910 in Wilmington, Delaware, D: 11 May 1960. Harry Roe Sweeny, B: 02 Aug 1903 in Paulsboro, New Jersey. Katherine May Sweeny, B: 30 Jun 1897 in Eddystone, PA, D: 16 Jan 1976. 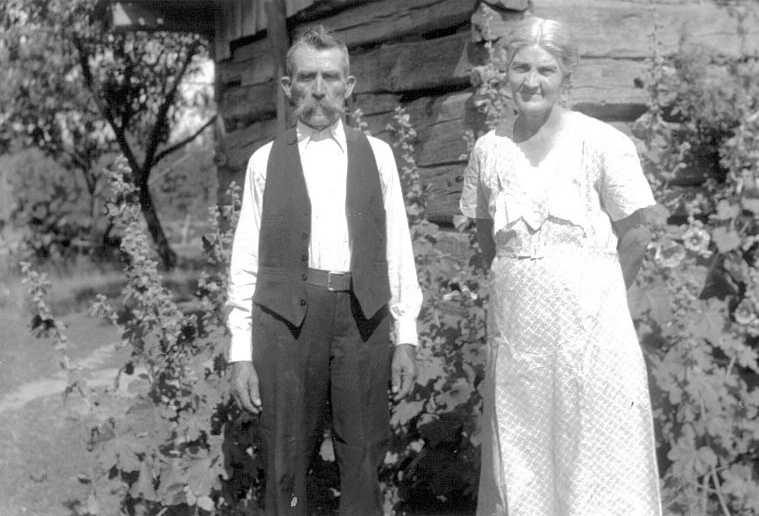 Florence Ramsey Sweeny, B: 20 Apr 1892 in Chester, Delaware, Pennsylvania, M: William Elmer Johnson, 02 Oct 1912. Charles Roe Sweeny, B: 05 Feb 1906 in Wilmington, Delaware. Margaret Fisher Sweeny, B: 22 Mar 1898 in Crum Lynne, Pennsylvania, D: 17 Sep 1992. John Franklin Sweeny, B: 15 Nov 1893 in Eddystone, Delaware, Pennsylvania, D: 07 Jan 1979. Samuel Roe Sweeny, B: 02 Apr 1908 in Wilmington, Delaware, D: 19 Jun 1978. Robert Henry Sweeny, B: 08 Feb 1901 in Paulsboro, New Jersey. Thomas Burton Sweeny-2(William Blizzard-1) was born on 30 Oct 1895 in Eddystone, Delaware, Pennsylvania. He died on 27 Apr 1991 in Home, Indiana, Pennsylvania. He married Elsie Irwin Caldwell on 12 Aug 1919 in Harrington, Kent, Delaware.She was born on 22 Sep 1901 in Felton, Kent, Delaware. She died on 17 Feb 1976 in Delaware Hospital, Memorial Division. Florence Elaine Sweeny, B: 29 Apr 1928 in Wilmington, Delaware, D: 21 Oct 2008 in Middletown, New Castle, Delaware, USA. 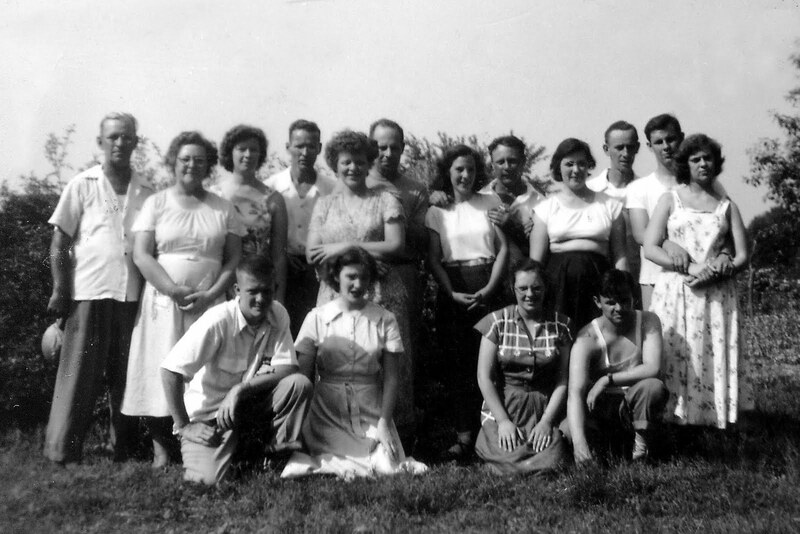 Thomas Burton Sweeny, B: 15 Mar 1922 in Milford, Kent, Delaware, M: Myrtle Edith King, 18 May 1949 in Eloped. Frances Elizabeth Sweeny, B: 20 Apr 1930 in Wilmington, Delaware, M: Tedewsz Nowokowski, 22 Nov 1961. Elsie Irene Sweeny, B: 04 Oct 1920 in Wilmington, Delaware. Lillian June Sweeny, B: 29 Sep 1926 in Wilmington, Delaware, D: 16 Mar 1984. Vada Louise Sweeny, B: 02 Nov 1932 in Wilmington, Delaware. Josephine May Sweeny, B: 26 Jan 1924 in Wilmington, Delaware. 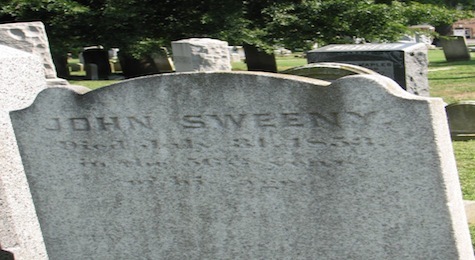 Virginia Ann Sweeny, B: 02 Jun 1934 in Wilmington, DE, D: 21 Aug 1936 in Lawn Croft Cemetery, Anolene Village. Virginia Ann Sweeny, B: 02 Jan 1934 in Wilmington, Delaware, D: 21 Aug 1936 in Wilmington, Delaware. William Blizzard Sweeny-2(William Blizzard-1) was born on 19 Jan 1890 in Chester, Delaware, Pennsylvania. He died on 28 Apr 1939 in Chester, Pennsylvania. 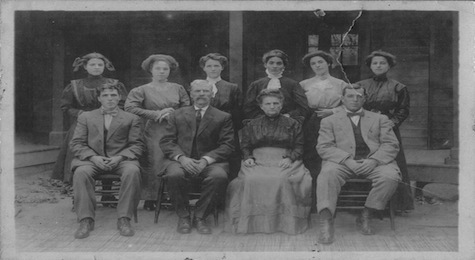 He married Mary Jane Watkins on 14 Jan 1912 in Wilmington, Delaware, daughter of Albert Fairfield Watkins and Amelia Carson. She was born on 10 Jul 1892 in Philadelphia, Pennsylvania. She died on 29 May 1957. 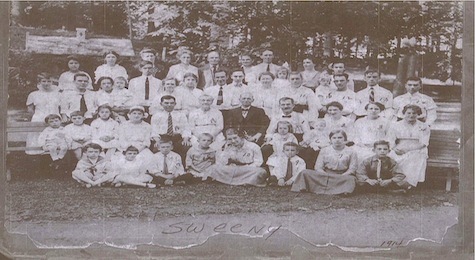 Alice May Sweeny, B: 21 Sep 1912 in Wilmington, Delaware, M: John Vincent Baxter, 07 Sep 1928. Ruth Naomi Sweeny, B: Feb 1927 in Darby, Delaware, Pennsylvania, D: Feb 1927 in Darby, Delaware, Pennsylvania. Albert Fairfield Sweeny, B: 14 Oct 1920 in Delaware, D: Sep 1981. William Blizzard Sweeny, B: 08 Jul 1914 in Wilmington, Delaware, D: 18 Apr 1998. 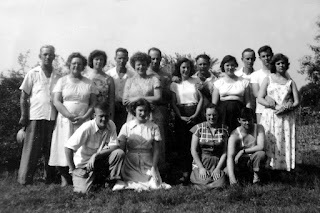 Elizabeth Sweeny, B: 14 Jul 1922 in Delaware, M: Wade Newman, Sep 1946. Charles Roe Sweeny, B: 29 Oct 1925 in Darby, Delaware, Pennsylvania, D: Nov 1981, M: Barbara McCormick, Nov 1956. Mary Jane Sweeny, B: 22 Nov 1917 in Wilmington, Delaware, M: Daniel Joseph Hodgeson, 30 Aug 1939. Sallie Elizabeth Sweeny-2(William Blizzard-1) was born on 22 Jul 1910 in Wilmington, Delaware. She died on 11 May 1960. She married Walter Grove, son of Ernest J. Grove. He was born on 07 Apr 1911. Lois Jean Grove, B: 01 Feb 1939 in Wilmington, Delaware. Harry Roe Sweeny-2(William Blizzard-1) was born on 02 Aug 1903 in Paulsboro, New Jersey. He married Catherine Elizabeth Green.She was born on 29 Apr 1908 in Newark, New Castle, Delaware. Harry Ronald Sweeny, B: 06 Jan 1939 in Wilmington, Delaware. Catherine Elizabeth Sweeny, B: 07 Jul 1927 in Newark, New Castle, Delaware. Katherine May Sweeny-2(William Blizzard-1) was born on 30 Jun 1897 in Eddystone, PA. She died on 16 Jan 1976. She married Paul Emmons Beecher.He was born on 02 Sep 1899 in Wilmington, Delaware. Pauline Beecher, B: 24 Mar in Wilmington, Delaware, D: Aug 1918. Ester Beecher, B: 21 Mar 1919 in Wilmington, Delaware. Margaret Fisher Sweeny-2(William Blizzard-1) was born on 22 Mar 1898 in Crum Lynne, Pennsylvania. She died on 17 Sep 1992. She married George H. Whisler.He was born on 28 Aug 1894 in Colorado. He died in Mar 1973. 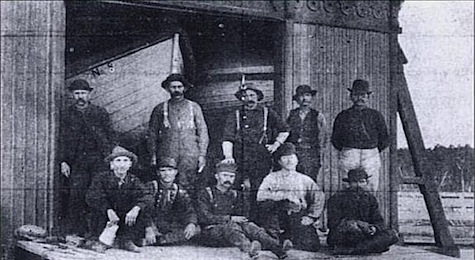 John Franklin Sweeny-2(William Blizzard-1) was born on 15 Nov 1893 in Eddystone, Delaware, Pennsylvania. He died on 07 Jan 1979. He married Lola Chambers, daughter of Abraham Lincoln Chambers and Clara Blest. She was born on 10 May 1897. She died on 29 Apr 1973. John Franklin Sweeny, B: 17 Jun 1916. Granville Eastburn Sweeny, B: 01 Nov 1917 in Wilmington, Delaware, D: 11 Oct 1999 in Delaware. Thomas Burton Sweeny, B: 27 Dec 1918 in Wilmington, Delaware. Samuel Roe Sweeny-2(William Blizzard-1) was born on 02 Apr 1908 in Wilmington, Delaware. He died on 19 Jun 1978. He married Margaret Eves, daughter of Alberta A Eves and Sarah Ingram. She was born on 10 Jan 1912. Samuel Roe Sweeny, B: 09 Aug 1932 in New London, Chester, Pennsylvania. Robert Henry Sweeny-2(William Blizzard-1) was born on 08 Feb 1901 in Paulsboro, New Jersey. He married Estella May Davis, daughter of Harry L. Davis and Jennie Wietrich. She was born on 25 Oct 1899 in Wilmington, Delaware. Mildred Beatric Sweeny, B: 01 Jan 1922 in Wilmington, Delaware. Robert Henry Sweeny, B: 01 Sep 1919 in Wilmington, Delaware.